As your heating system ages, it can lose efficiency or stop working altogether. 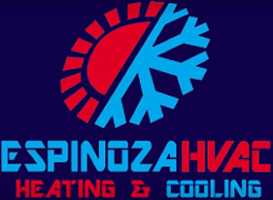 At Espinoza HVAC, we provide the highest level of quality when it comes to the installation, maintenance, repair, and replacement of your heating system. With a service performed by one of our highly experienced technicians, you can expect to have your system up and running in no time so you can enjoy a well-heated home throughout the winter months. Contact us today to learn more about our heating services in Cedar Park, TX. With the cost of home heating fuel constantly on the rise, there's never been a better time to explore alternative means of heating your home. Heat pumps are a great way to heat your home that draws heat from the air outside your house, just like an air conditioner does. And just like an air conditioner, heat pumps can be used to cool your home. With a heat pump, there's no need for separate heating and cooling systems; the heat pump does it all. And of course, heat pumps are better for the environment as there's no burning of fossil fuels. At Espinoza HVAC, we offer a complete range of home heat pump installations and repairs. We're the area's heat pump experts and are eager to help save you energy by installing a new heat pump in your home. Have an older heat pump that's too noisy or simply not doing the job? Usually, an older heat pump simply requires minor maintenance to get it back on track. We will gladly restore your older heat pump and get it up and running in no time. Save money and energy this winter with a new heat pump from Espinoza HVAC. To schedule a free estimate, call us today! Espinoza HVAC also offers Energy Star-rated heating systems, so you can save up to 30% on heating costs during the winter while staying warm. Call us today for a free consultation to have one of our licensed technicians meet with you to discuss your heating needs and to learn how you can save money with a new, highly efficient heating system.